Sheet music, lyrics, and chords for some of Elvis' best! 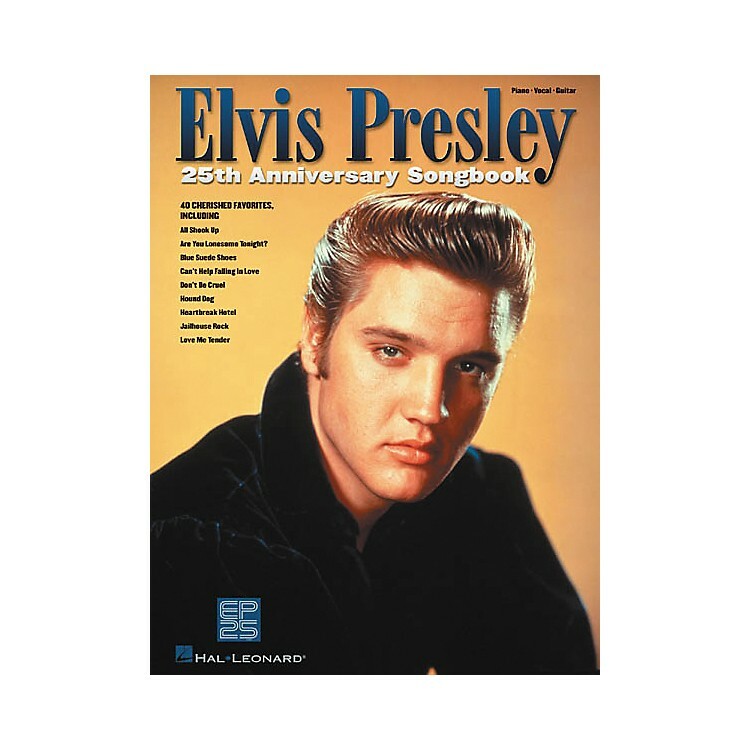 Hal Leonard presents this commemorative collection of 40 cherished favorites from Elvis Presley, including: All Shook Up; Almost in Love; Are You Lonesome Tonight? ; A Big Hunk O' Love; Blue Eyes Crying in the Rain; Blue Suede Shoes; Burning Love; Can't Help Falling in Love; Don't; Don't Be Cruel; Hard Headed Woman; Heartbreak Hotel; Hound Dog; I Want You, I Need You, I Love You; In the Ghetto; It's Now or Never; Jailhouse Rock; Little Sister; Love Me Tender; Return to Sender; Surrender; Suspicious Minds; (Let Me Be Your) Teddy Bear; That's All Right; Viva Las Vegas; and more!